Research suggests an exponential rise in Team Coaching - Are you ready to step up to meet this growing demand? Join coaching pioneer and global thought leader Professor David Clutterbuck for a 3 Day Master Class on the Fundamentals of Team Coaching. 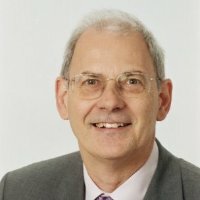 As Co-Founder of the European Mentoring & Coaching Council, visiting professor of coaching and mentoring at three universities and author of over 70 books, David is at the forefront of team coach training. His book, Coaching the Team at Work stimulated the global movement for evidence-based team coaching nearly a decade ago. He is currently the lead editor of the team producing the first Practitioner’s Handbook of Team Coaching. This is first time his Master Class will be offered in the U.S. Team coaching is rapidly gaining traction as a powerful tool for helping leadership teams improve performance. It has wider application however, for all kinds of teams, at all levels in an organization. Most large organizations have invested in coaching individuals. Increasingly, however, it is recognized that the performance issues of both organizations and individuals are systemic. As the bridge between individual and organizational learning, teams are the most practical unit to integrate individual and systemic perspectives, to manage the complexity of co-working, and to respond to the shifting needs of organizations. While it is not surprising that team coaching has emerged as a growing practice, experience in the field suggests that coaches are adapting approaches to meet this demand with mixed success. To step up into this considerably more complex and arguably more demanding arena, team coaches need to have a good understanding not only of coaching basics, but of team dynamics and team psychology, of collective decision making, of systems theory and a variety of other relevant topics. This program is aimed at people with a solid foundation of experience and expertise in one to one coaching who want to add team coaching to their portfolio. It aims to ensure that they are competent and confident in extending coaching approaches to helping teams become more effective. David Clutterbuck is one of the original pioneers of coaching and mentoring. Author or co-author of 70 books, he is Co-Founder of the European Mentoring & Coaching Council, for which he is now Special Ambassador. His book, Coaching the team at work stimulated the global movement for evidence-based team coaching nearly a decade ago. He is visiting professor of coaching and mentoring at three universities and is currently lead editor of the team producing the first Handbook of Team Coaching. David lives in the UK (when not flying round the world) and takes on a new learning challenge every year — from sky-diving to stand-up comedy!